Our last trip to Arkansas yielded some very nice firsts! We had the chance to break in this nifty Lodge grill for instance. 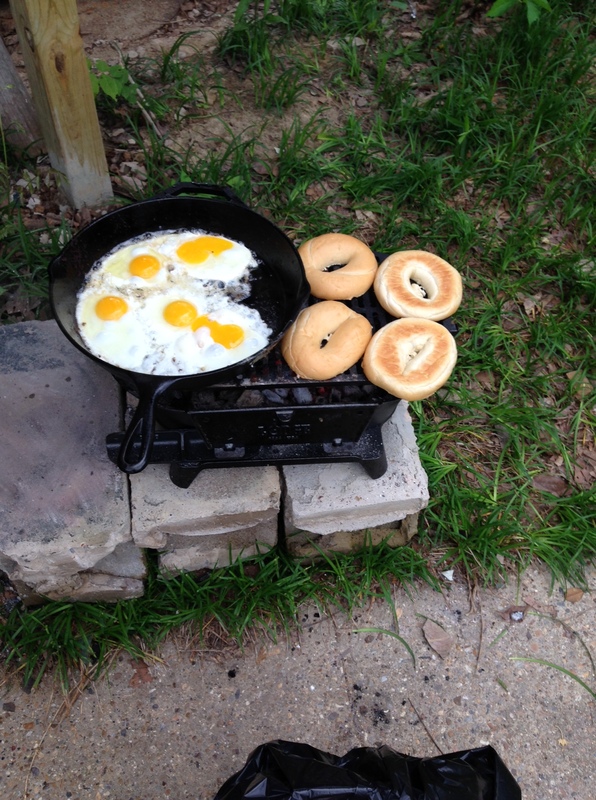 It was love at first breakfast, the charcoal starter thing-y had us up and scrambling eggs before I could finish slicing bagels – THAT’S FAST! Normally my problem with charcoal grills is all the waiting but this thing makes it a breeze! This was the first time we were able to sleep in the house (on the floor), eat in the house, go to the bathroom in the house (figured out the toilet has a crack though), wash out dishes in the house, clean ourselves at the house (sort of) – in short we were able to be at Addie’s without leaving for anything! That left more time for exploring! As we were walking the land behind Addie’s we came upon this creek. When we visit Addie’s we usually have a LONG list of stuff we’d like to get done and most of the time the kids are working right along with us. So when the opportunity to take a muddy break presented itself I couldn’t say no. 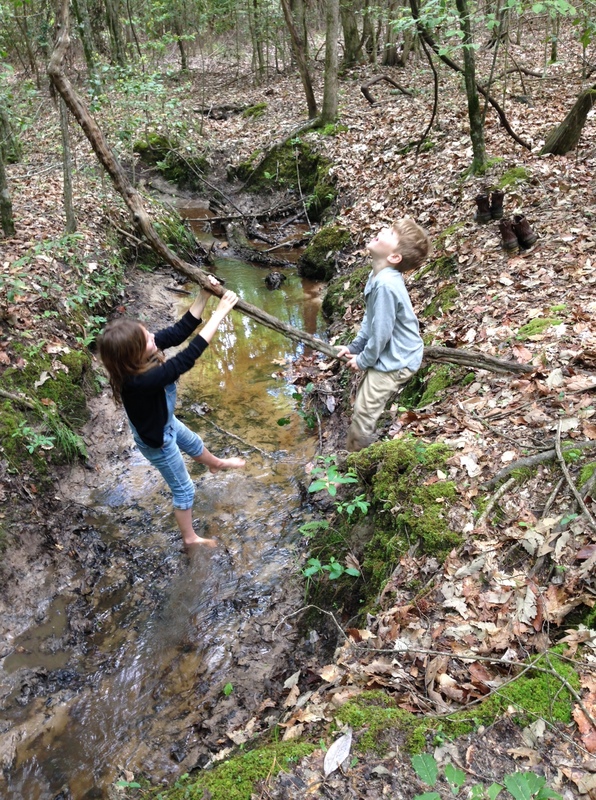 Watching my kids negotiate this very wild, non-manicured, non-saftey checked creek was the best part although I’m sure my kids would disagree. Armed with a stick to check for snakes (water moccasins would be common) and check water depth they very carefully explored. It took 5 minutes just to get used to the squish of the creek bottom and non-stop bugs swarming them and the cool temperature of the water. They became pretty bold after that though, testing that tiny vine as a swing (above), exploring deeper waters, so much braver than their mom! We still had to walk back to the house after this creek adventure which brings me to a product review. The kids received these LL Bean boots as a Christmas present. 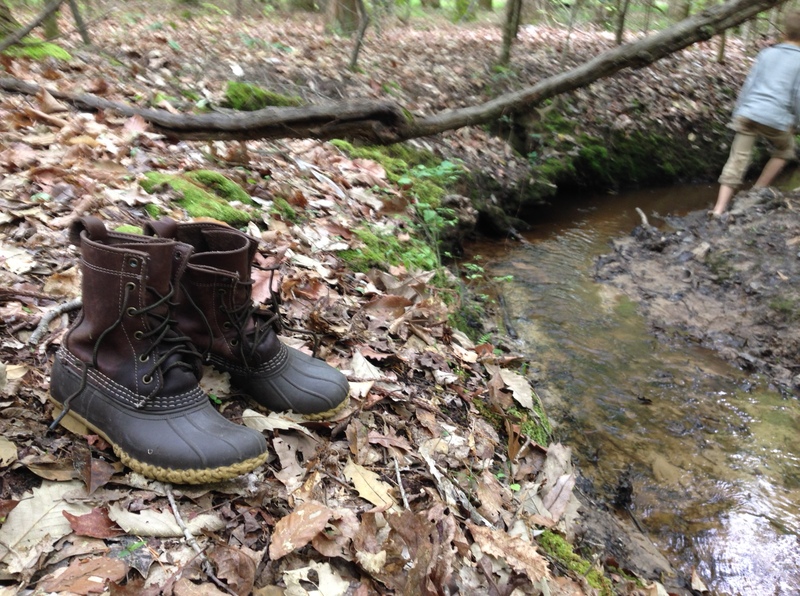 They are expensive and not many boots can do what the Bean boot does….or is supposed to do – good for walking, perfect for wet ground, really, really good looking. The only thing I can stand by is the way they look, they are a very handsome boot. But getting them on and off is a pain and walking in them is a nightmare – two things that put them in the NOT buy again category. What I’ll try in the future are another pair of Blundstones (you totally saw that coming I’m sure) worked over with a little magical product called Obenauf’s. Although not marketed for waterproofing, with trial and error we’ve found it to be a good protector of the already water resistant Blundstone boot. Perhaps we’ll need rain boots for the crazy wet days but for day to day needs, we’re back to Blundstone. The work at Addie’s still overwhelms me, there’s so much to do, so much for me to learn. 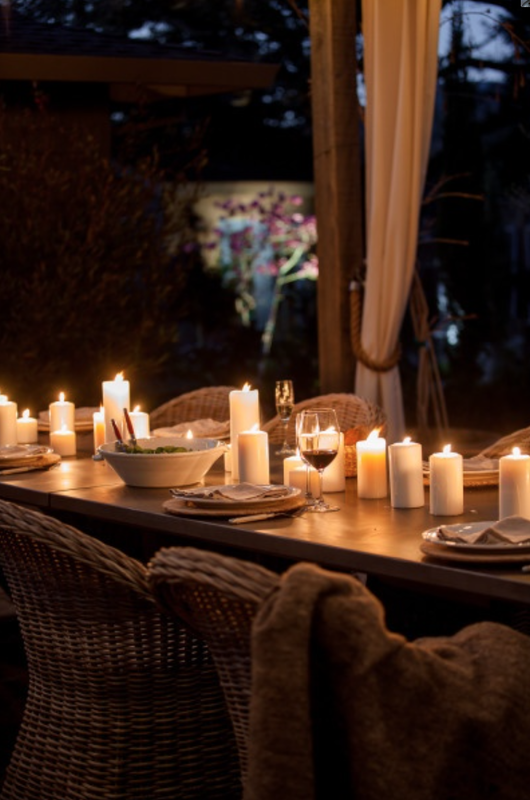 But one day, I’m hoping to sit down at a table like the one below, with friends and family and tell stories of our early misadventures with this land and this whole process and marvel at how far we’ve come. Sounds good right? !